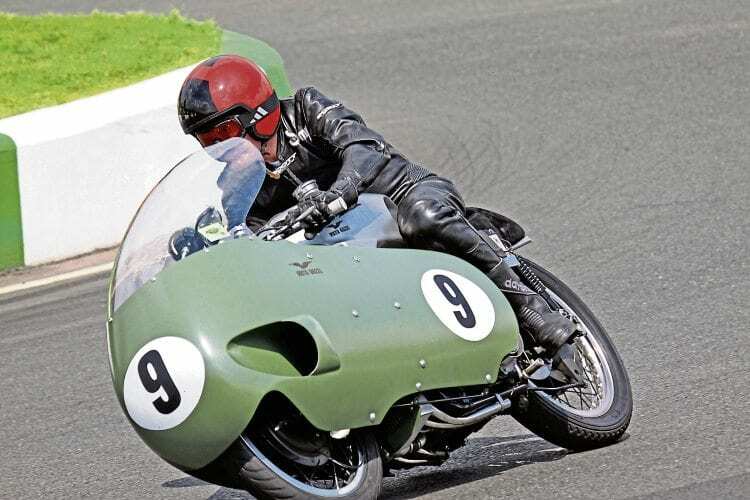 If you’ve never heard the fabulous sound of the fully faired 500cc Moto Guzzi V8 grand prix racer, don’t miss the long-awaited relaunch of the Vintage Motor Cycle Club’s Festival of 1000 bikes at Mallory Park on July 7-8. When it’s chiming on all eight tiny pots, the sound of the 500cc Guzzi V8 is quite unforgettable. With the support of Footman James Insurance Brokers, Bonhams Auctioneers, Mortons Motorcycle Media, Ricoh and the National Motorcycle Museum, it promises to be a weekend to remember. As in the past, the event will give enthusiasts the opportunity to ride their own machines in multiple track sessions over the weekend, from the earliest veterans to superbikes (not at the same time, of course! ), reflecting the wide range of interests within the VMCC.